So what exactly do I do? Consider me to be your first step in the trip planning process! 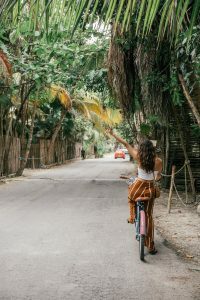 Whether you are completely lost in the trip planning process or just need a few tips to finish up – I am here to help! So what does working with Taverna Travels look like? I currently offer one-on-one travel consultations. These sessions are completely tailored to YOUR needs! This could mean anything from helping you to pick your next destination, figuring out a travel budget, recommending specific hotels and tours, or getting into the nitty gritty of finding planes, trains, and buses! How it works: we will schedule a time to hop on the phone and discuss your trip planning needs. Following the call you will receive a document outlining the details of our call plus any unresolved questions. Need More? Book a full personalized itinerary and I will help you plan all the nitty gritty details of your upcoming adventure! Personalized itineraries are perfect for any traveler! I will use my travel expertise to help you plan out where to stay, eat, and enjoy in a perfectly curated itinerary! This package includes a full itinerary with suggested activities, transportation and accommodation. 30 min phone consultation and full email support throughout! See list below for available destinations! If you are looking for a personalized itinerary for a destination that is not listed below, rates will be doubled. Please note: All itineraries will be finalized within 1 (one) week of phone consultation. For rush itineraries there will be an additional $50 charge. Already have your itinerary but need some assistance with bookings? You can purchase these services individually.